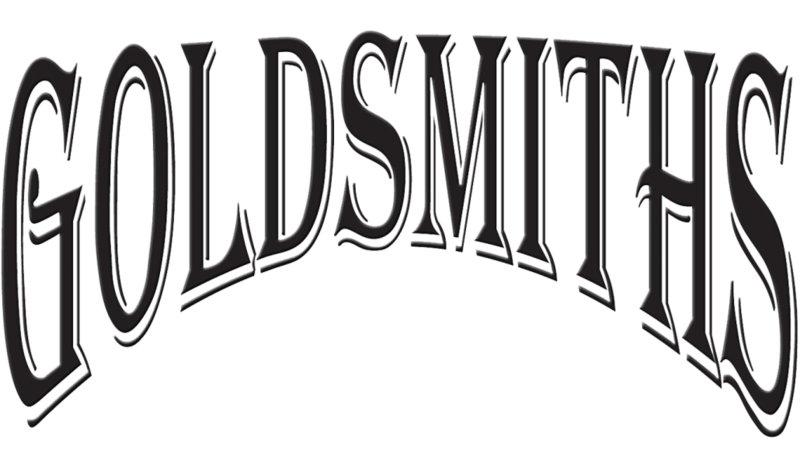 THREE STONE CUSTOM DIAMOND ENGAGEMENT RING – The Goldsmiths Ltd. Traditional three stone engagement ring is custom made in 14k white gold with a brilliant round sparkling diamond center and two smaller brilliant round sides, all set in a 4 prong crowns. 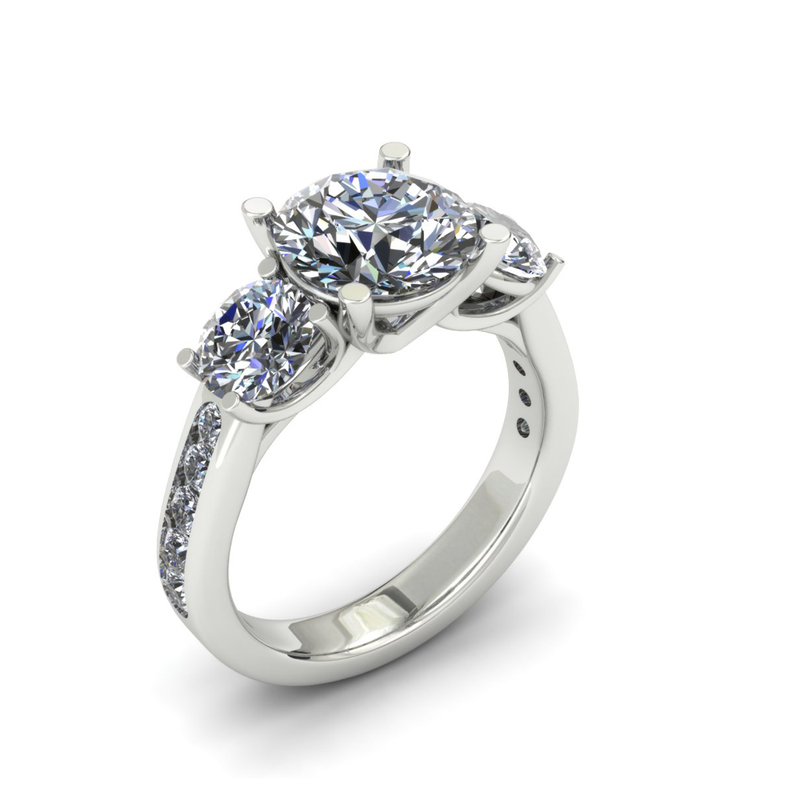 This traditional ring is given added sparkle with channel set round diamonds down the shank.